Traffic, rock concerts, leaf blowers, and blaring head phones — these are among the many noise sources that have played a part in 40 million American adults suffering from hearing losses not caused by their work conditions, Uncle Sam says. Hearing ability is inversely associated with distress, somatization, depression, and loneliness among all age groups. The economic cost to society of age-related hearing loss has been estimated to be $297,000 over the lifetime of every affected person. Hearing loss is associated with low employment rates, lower worker productivity, and high health care costs. Adults with hearing loss are more likely to have low income and be unemployed or underemployed than adults with normal hearing. Nationally, the total cost of first-year hearing loss treatment is projected to increase fivefold between 2002 and 2030, from $8.2 billion to $51.4 billion. In case you haven’t already yelled at the kids about it, preventive steps can be beneficial in averting hearing loss. Translation: Turn down the sound, especially when equipped with head phones or ear plugs, experts say. They caution listeners about frequent exposure to loud noise, including from common sources like rock concerts, sports events, and machines or equipment like leaf blowers or engines. Although workplaces continue to pose noise hazards, the CDC found, a surprising number of Americans —slightly more than half of those affected —likely suffer hearing impairment due to exposure not related to their jobs. Americans may need to consider toting ear plugs or other protective wear. They may need to take breaks from noise (length of exposure and intensity of a sound both contribute to hearing harms). 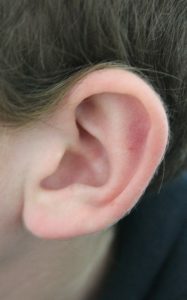 They and their doctors also may want to step up hearing tests, and to intervene early with aids if losses are detected. I’ve written about how hearing aids long have been pricey, and have required professional care with testing and fit. Health insurance plans haven’t been generous in covering the costs for the devices. But the Obama administration had taken steps to make hearing aids more affordable and accessible by pushing to make many models of them over-the-counter products or to see them sold like glasses by more competitive outlets. Hearing, of course, often declines with age, and seniors too often have been victimized by scams involving hearing aids and other assistive devices, so expert guidance on remedies can be useful.